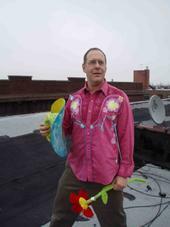 The Urban Myth Recording Collective proudly welcomes Lee Feldman to the fold! After months of heated negotiations (well, Lee kept asking “What the hell is a pop music collective anyway?”) we are proud to announce the imminent release of I’ve Forgotten Everything, the stunning third album from the Broadminded Bard of Brooklyn (he’ll probably hate that!) 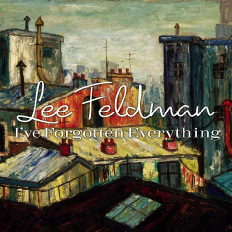 Lee Feldman. Gorgeously produced by Edward Haber (who produced Linda Thompson’s acclaimed return to recording Fashionably Late) and elegantly mixed by Jay Newland (most famous for engineering and mixing Norah Jones’ albums with Arif Mardin) it features Lee and his band — Byron Isaacs on bass and Bill Dobrow on drums — with guest performances from amazing NYC musicians like Teddy Thompson, Steven Bernstein, Joel Frahm, Curtis Fowlkes, Johnny Spampinato, Pete Galub and UM fave Greta Gertler. This is rock-pop-jazz-folk ensemble playing of the highest order, in service of a songwriter at the peak of his compositional powers. Lee is playing a CD release party with Byron and Bill at the Rockwood Music Hall, on 196 Allen (between Houston & Stanton) at 7:00 on March 23rd. Rockwood is an intimate place with a nice piano and a good sound system. Drop by and pick up a CD; the gig is FREE!